One of my great friends lives in Mexico and I always think of her when I am cooking a Mexican inspired supper. 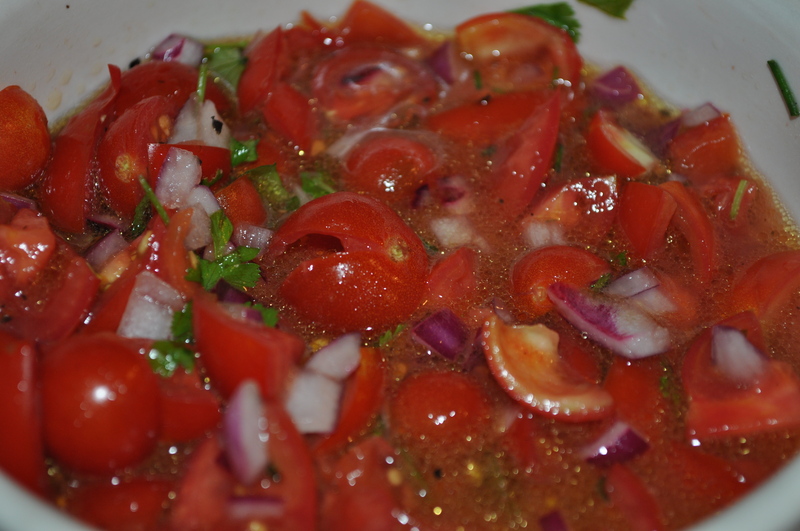 I love this style of food as it can taste so fresh due to the sharpness of the lemon juice in the salsa. I personally get a lot of enjoyment watching people eat this type of food as everyone has their own way of making up their wrap and their own way to ‘prevent’ the juices running out of the bottom of it. 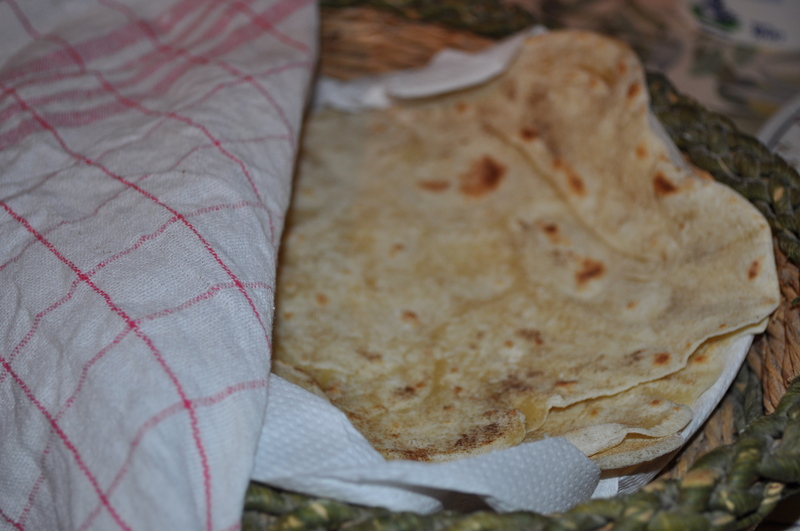 I think it is a real skill to manage to eat a wrap and not leave any mess on your plate. The recipe below is for a mild spice mix, I personally prefer a kick of spice when I eat Mexican food so I tend to add fresh chilli as a garnish or to the meat filling at the end of cooking provided my friends can handle the heat… I first started making the flatbreads as part of a starter with a Moroccan style hummus however, when I used them as a wrap for this dish I was really happy with how they worked out, so now make them every time I eat this supper. I made my own onion and garlic powder for the seasoning mix, you can buy it, but it is incredibly easy to make so it may be worth a try. Just cut an onion and some garlic cloves into fine slices, lay them out on a baking tray and place in the oven at 100C fan for around 30-60 minutes, turning them over once or twice as they dry out (If they are browning too quickly turn down the oven slightly). Once the garlic and onions are dried, crush them into a fine powder using a pestle and mortar – job done – homemade onion and garlic powder. 1. Combine the spices for the Mexican seasoning mix in a bowl. 2. Place the onions in a saucepan with a little oil and cook till soft. 3. 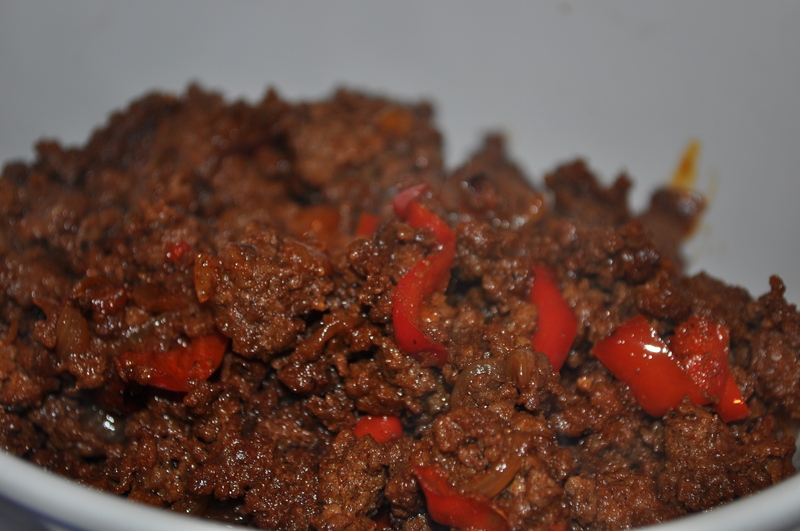 Add the beef, pepper, stock cube and Mexican seasoning mix, cook for 7-10 minutes. 4. 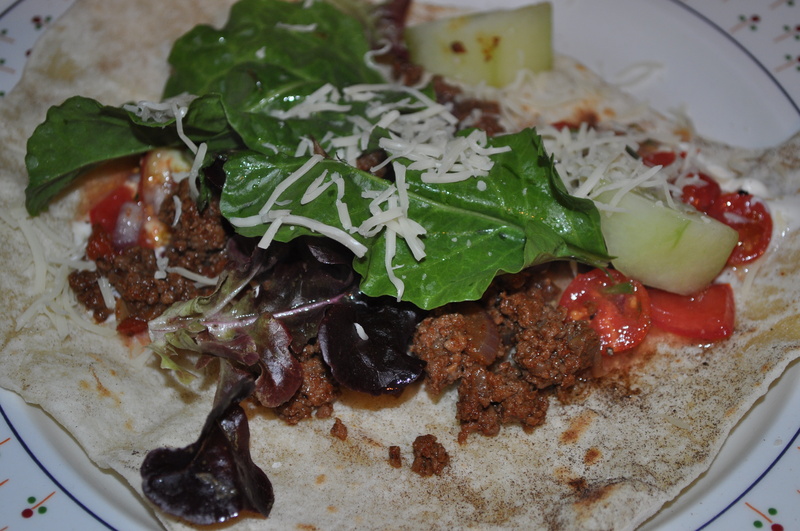 Serve with fresh salsa, flat bread wraps, crème fraiche, grated cheese and lettuce and cucumber salad. 1. Combine all the ingredients in a bowl, mix together well, taste and add more seasoning as needed. 1. Combine all the ingredients in a bowl, mix together well. Leave to rest in the fridge for 15 minutes. 2. 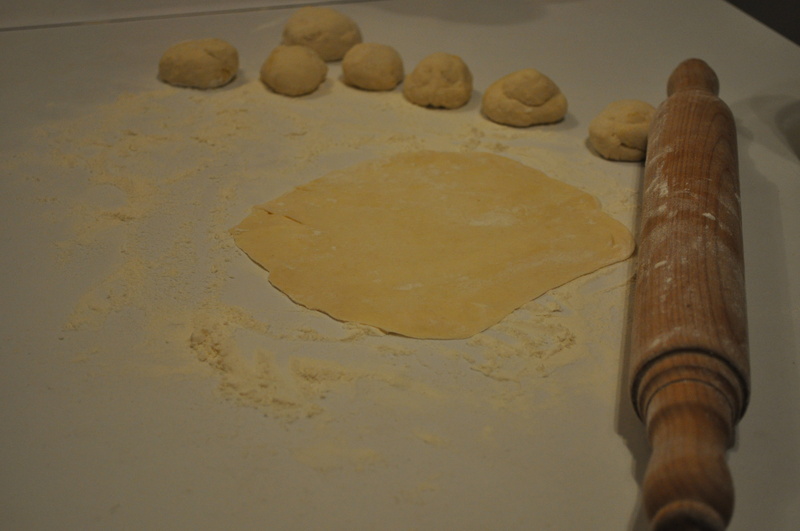 Divide the dough into 9 balls, then roll out the dough as thin as you can on a well-floured surface. 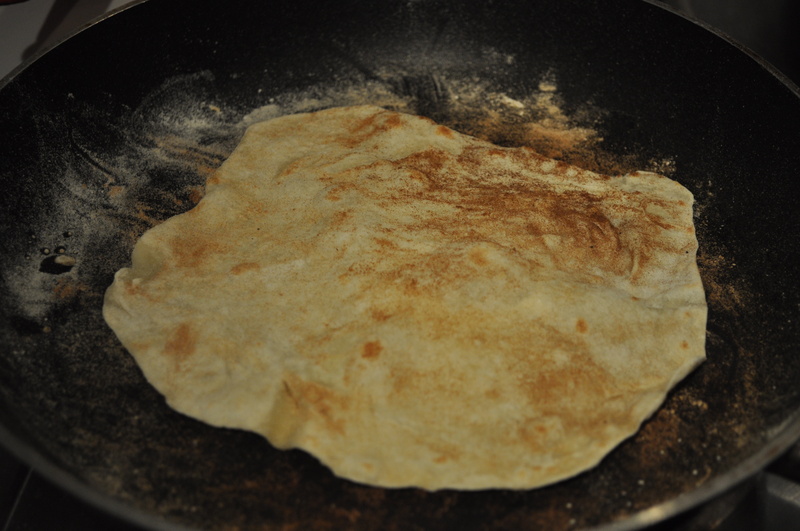 (If you are concerned the dough is too wet just add a little bit more flour to the mixture before you divide it up). 3. Cook in a hot frying pan for roughly 2-3 minutes on each side. (You do not need oil in the pan when you are cooking them). 4. Keep the wraps warm by wrapping them in a tea towel whilst you are cooking the rest. This entry was posted in baking, bread, main meal, quick & easy, recipes, side dish and tagged comfortfood, food, foodblogger, foodstagram, instayum, recipes, spices, TexMex on November 7, 2012 by Antonia Cooks.